A lamb is believed to have caused a farm fire in Wigan this weekend, while a farm in Balderstone became the target of a suspected arson attack. Investigations are underway after firefighters were called to two fires on farms in the north west of England this weekend. A farm building is believed to have been deliberately set alight in the Balderstone area of Lancashire on Friday (April 22) evening. A spokesman from Lancashire Constabulary said they were called at about 10.30pm to a farm on Woods Brow, Balderstone. A Lancashire Police spokesman said: "It looked as if someone had approached the farm and deliberately set fire to an outbuilding holding livestock. "The arsonist made off from the scene. 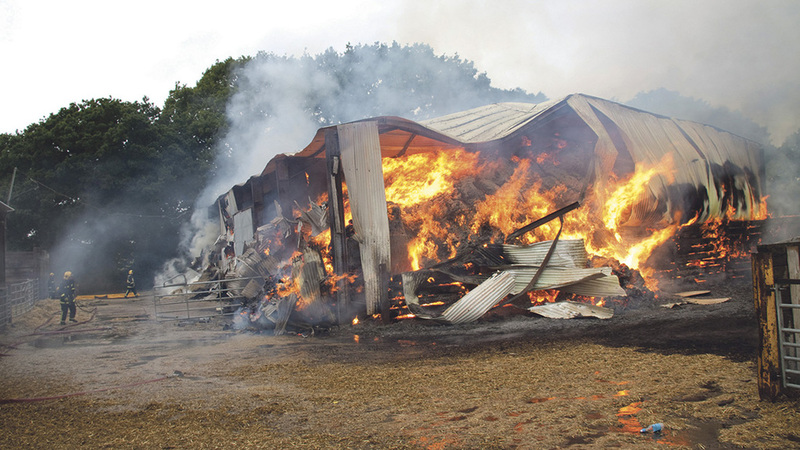 "A local farmer saw the blaze and managed to get the livestock out of the building into a neighbouring field." Enquiries are ongoing into the suspected arson attack. In the second fire, a lamb is believed to have knocked a heat lamp onto some hay which then set alight. Reports suggest three lambs died in the blaze at Landgate Farm, Bryn, on Saturday (April 23). A spokesman from Greater Manchester Fire and Rescue Service said firefighters were called to the farm at 10.15pm on Saturday April 23. He said: "There was a large quantity of hay on fire in a farm barn. "The animals had been evacuated by the owners and the fire team used two jets and two breathing apparatus kits to bring the fire under control. "Firefighters were on the scene for about one and a half hours."